In the last few years, self-leveling epoxy 3D floor art has become very popular among floor coverings, and gradually replace the old and usual coatings that have been used for decades, such as linoleum, tiles, parquet, and carpets. 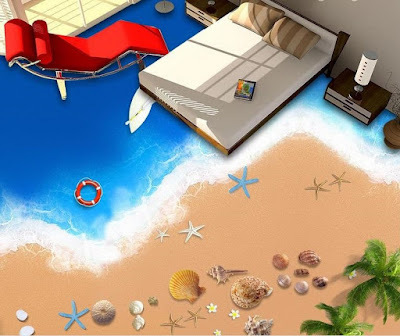 A footbridge over a bottomless precipice where you never fall; an exotic beach at your feet framed by a palm tree that extends on the wall; Spiderman climbing between buildings until reaching the floor of the kid's room. 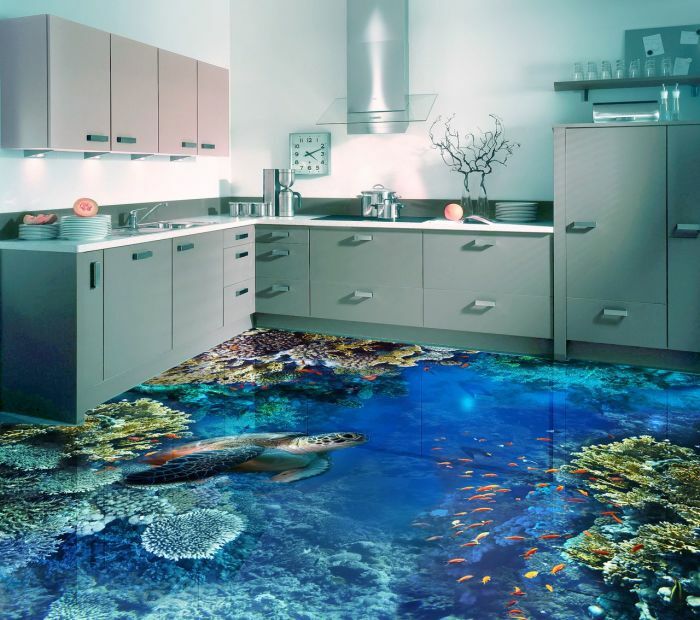 The magic of 3D floor art is transforming the interior design into a visual game where the rooms rub against the impossible, opening up virtually to new spaces. 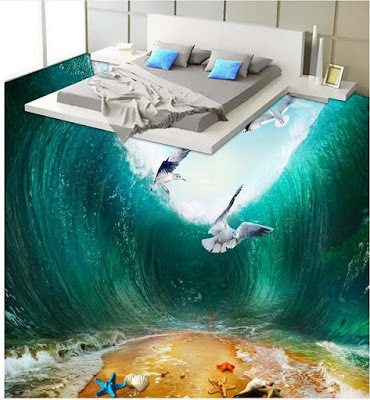 The concept is the same as some street artists who paint on the pavement 3D flooring art and perspective drawings, except that, now 3D flooring murals are gaining more popularity in the decoration of the houses to obtain surprising and personalized effects adjusted to the tastes and imagination of each client. 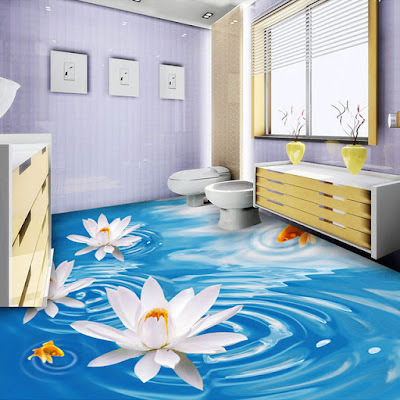 The main advantage of 3D epoxy floors is their durability, as manufacturers of materials for 3D floors give a guarantee of about 15 - 20 years. 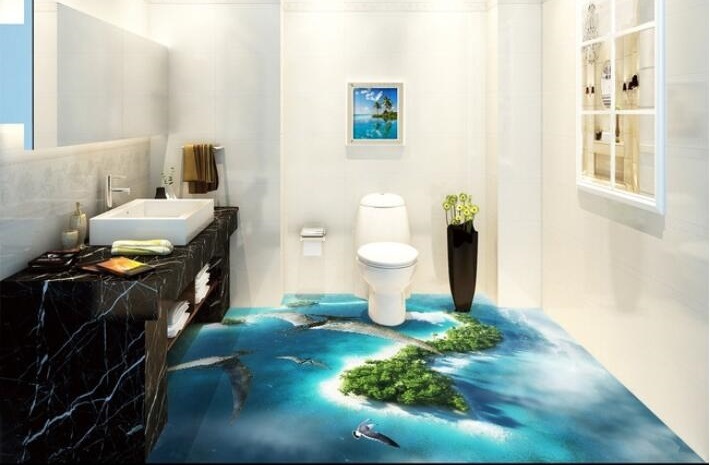 As far as you can see, the bulk 3D flooring designs are seamless and monolithic. 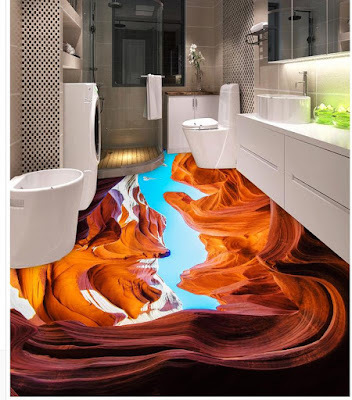 This structure of 3D floors murals is very convenient for hostesses, as it does not require every day to calculate the seams of tiles or every week knock out carpets. It is enough just to vacuum or sweep it. The pouring 3D flooring looks very nice, and therefore before you make the self-leveling 3d floor art in your home, think about the interior and the general combination of wallpaper and furniture. Filling this type can serve you more than 20 years, provided that you will take care of them and properly operate. 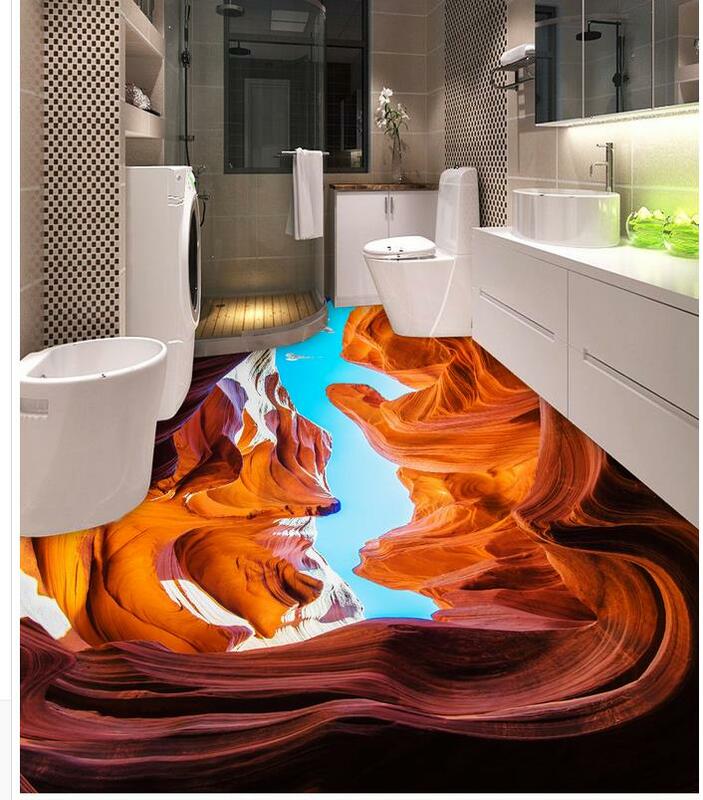 Installing 3D floor art need courtship and constant cleaning. Since there are always different grains of sand on it, they can deliver very strong discomfort to the owners, because it is through such grains on it that in the course of time small scratches may appear that will damage the appearance of the 3D flooring murals. But you ask: can I somehow remove scratches? Answer: Of course you can. To remove scratches, a special tool is used, called polishing for fiberglass. It can be bought in construction shops or found on the Internet store. It's enough just to sprinkle polish on the 3D epoxy floor and gently wipe it with a sponge. And it will shine as before. 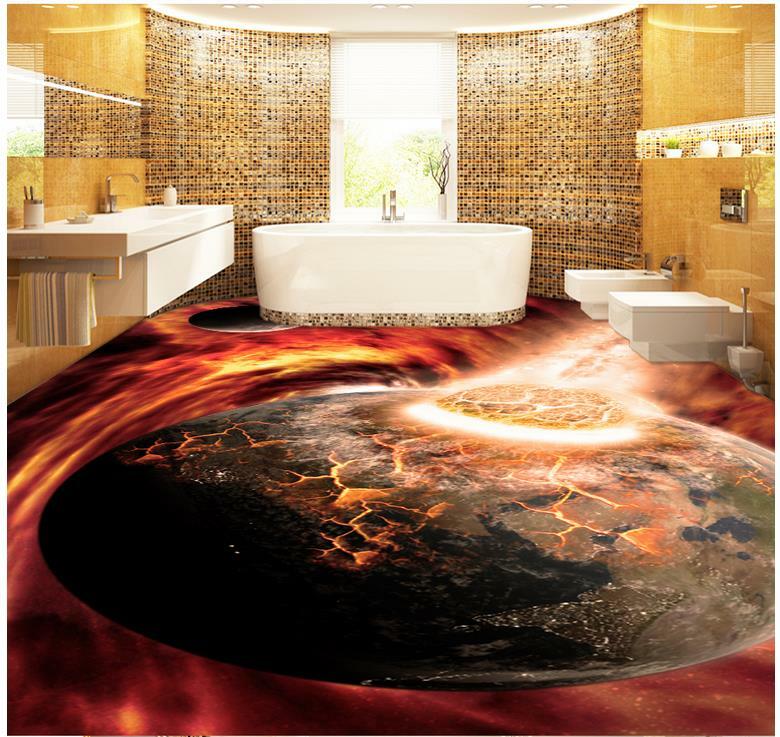 These surfaces are the maximum expression of exclusivity, the possibility of turning any artistic design into a passable and resistant 3D flooring design", explained in the article: All secrets of epoxy painted 3D flooring art. 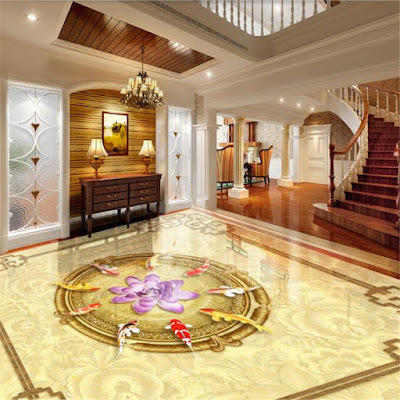 The self-leveling floor is smooth, even - it lacks joints, which facilitates its cleaning - with a soft texture, and also isolates the heat and moisture. In addition, it is very resistant, both to extreme temperatures and to friction and chemicals, otherwise, the designs would soon be affected by the use. 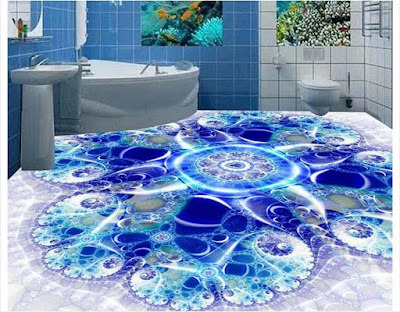 The base surface must be consistent and hard, so it is not possible to install 3D epoxy flooring murals on parquet, fabrics or paper on the walls. The base surface must be cleaned, sanded and checking for moisture. Next, the self-leveling mortar is laid. Once it is hardened, and the pavement is smooth, without imperfections. 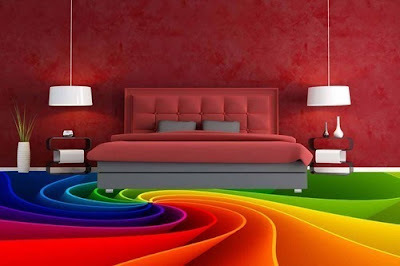 It is possible to colorize this surface to serve as a chromatic basis for the chosen 3D flooring art design. The drawing is made with the composition of a resin called epoxy, either by hand or with digital techniques. 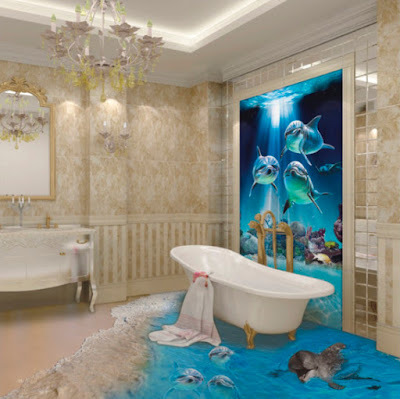 Then it will be covered by another transparent resin layer, the printed image on high-quality paper for this use can be added before the transparent layer to get a 3D flooring design with a 3D printed mural. Finally, a plastic layer of non-slip polyurethane is placed which, in addition, gives the final texture, smooth or rough, with gloss or matte. Architects and designers have long used this epoxy coated 3D flooring art murals to create exclusive environments in buildings, but until now, they have been much more common in leisure centers, shops, and industries, since for housing has more conditioning. The first is the price: 3D flooring prices are between 40 and 100 euros per square meter, depending on the surface and the complexity of the design. "For me it is not just a reform, but an artistic challenge, and that is the main difficulty. Only a careful design, adapted to the dimensions and characteristics of each room can become a real demonstration of style. You have to be very sure of what is done because rectifying is not as easy as giving a new coat of paint to the wall, "says Alejandra Aguilar, interior designer. In any case, the epoxy painted 3D flooring design options are as varied as you can wish: from the riskiest exuberance to the most classic and discrete motifs (geometric, filigree, granulated ...). "You also have to have the furniture of the house, its style, and its tones, unless you have thought of a total transformation," adds Alejandra Aguilar. The originality is fascinating, but it is of no use if the house has no harmony in the style ". Two-component epoxy reinforcing primer for the self-leveling 3D flooring and treatment of concrete floors. 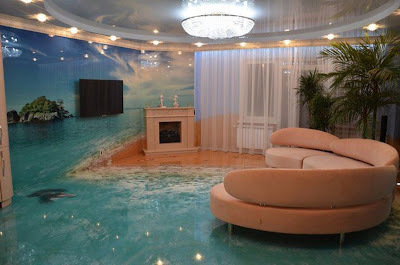 Before applying the floor to the concrete base, it should be treated with an epoxy-based primer for the 3D floor art. Epoxy primer for the 3D floor should have a certain viscosity. The main purpose of the 3D floor primer is the adhesion of concrete to fill the floor. This primer on an epoxy basis for penetrates deep into the concrete base, and thus strengthens it. Before applying an epoxy-based primer to concrete, it is necessary to vacuum and dust the concrete base. Then the room is pasted with a film, so that dust does not fall from the walls and ceiling. After you have made all these steps, you need to read the instructions for using the epoxy primer. The instructions show the mixing ratios of components A and components B. First, component A is poured into a bucket in the required proportion and then the component B is poured into the bucket by mixing the drill. The mixing time is about 3 minutes. Turnovers should be average because, at high speeds, the material heats up and starts to solidify faster. After you have mixed the required amount of primer on an epoxy base, it can be applied with a roller or a conventional spatula. The average consumption of the primer is 300 gr per 1 m / sq. 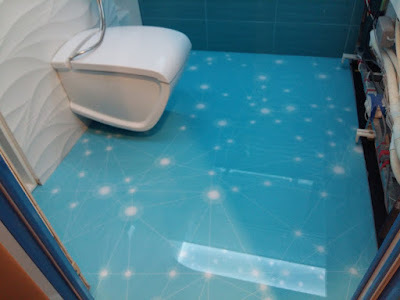 M.
The two-component material for the 3d flooring installation is a universal floor covering that should be applied to the primed and even concrete base. This material for 3d floor art is very durable, has chemical protection, and is not afraid of heavy mechanical loads. 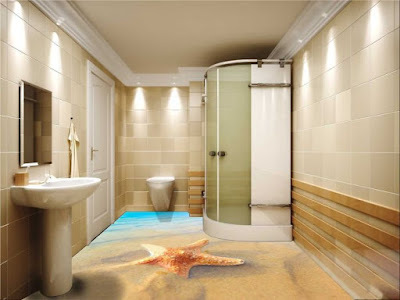 Therefore, it is the floor that is today considered to be the most durable and wear-resistant epoxy floor covering. Before you apply the composition to the concrete base, you should carefully read the instructions. The instructions detail the mixing ratios of components A and components B. Mix component A and component B by weight, not by volume. Because each component has a different density and mass. To mix the components, you should use a clean bucket, pour in component A, and then carefully mix the drill to pour component B in the required proportion. Turnovers should be average. 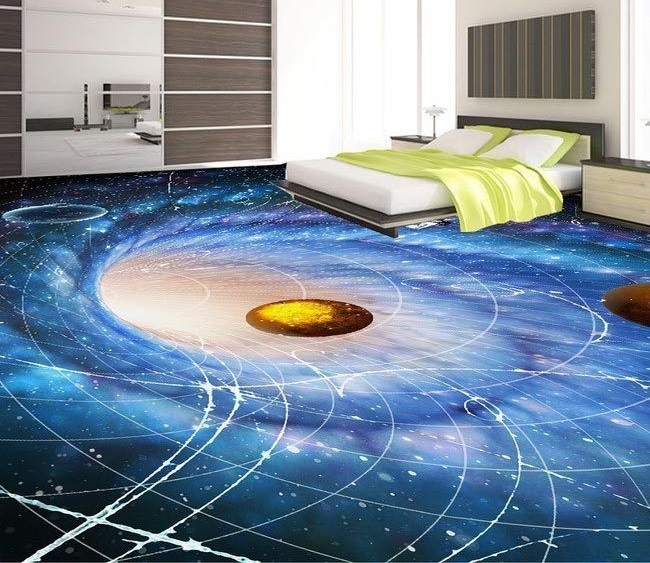 Because using very strong revolutions, the material will begin to heat up and the polymerization process will increase rapidly, and you will not have time to apply it to your 3D epoxy flooring. After you have mixed the two components, the finished mixture should be poured into another clean bucket, and mix again. This is done to ensure that after the first mixing of the components, lumps may remain in the mixture, which will not be visible after the first mixing of the filling floor. The average flow per 1 m / sq is about 2 kg per 1 m / sq. M. Then the mixture is poured onto the floor and leveled using a squeegee, or a notched trowel. The lifetime of the filling floor is 20 - 30 minutes, at a temperature of 20-25 degrees. The process of solidification of the filling floor is about 8 hours. For the finish coating of the 3d floor art installation process, a transparent varnish for the 3d flooring mural on an epoxy basis or a transparent colorless epoxy binder is used. 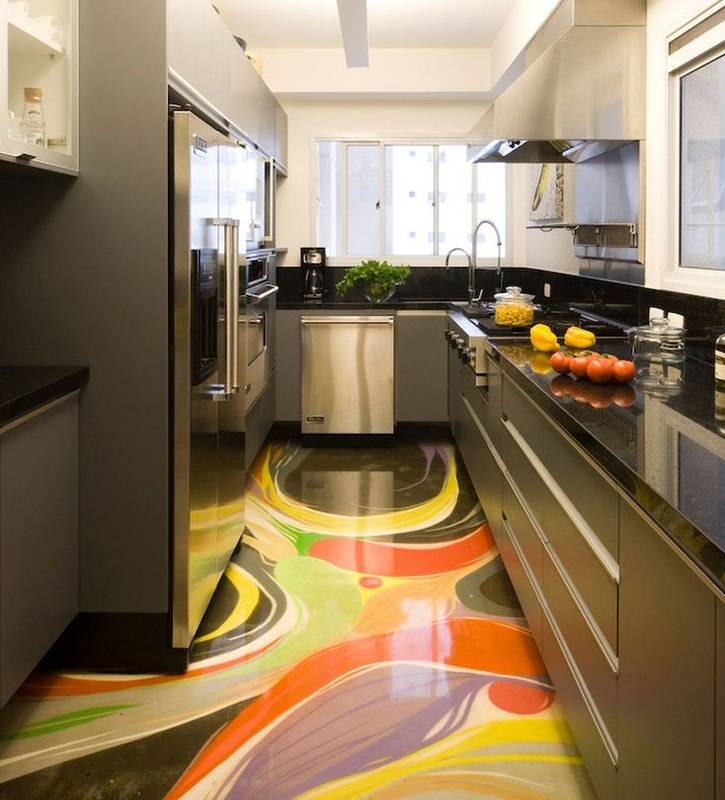 This coating protects your 3D floor mural and the entire bulk of the epoxy floor. Epoxy Lacquer has 2 components on an epoxy basis. In order to correctly apply it to the 3d flooring image, you should carefully read the instruction for the application of the finishing varnish for 3d floor art. Special attention should be given to such an indicator as resistance to ultraviolet radiation. Since newcomers, after laying the epoxy floor very often join with a huge problem. The filler of the 3rd flooring design can be covered with yellow spots in a month since it is exposed to direct sunlight. 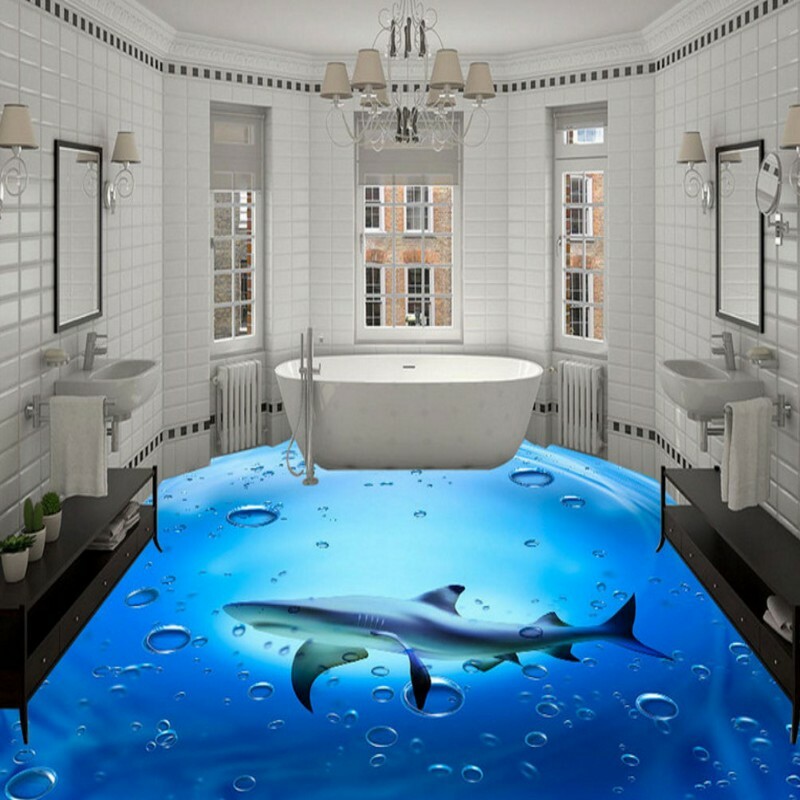 Therefore, before applying a clear varnish for the 3d floor, ensure that the clear varnish is resistant to ultraviolet radiation. After you are completely convinced of the high quality of the finishing clear varnish, you should read the instructions for its use. First, calculate the amount of clear lacquer that needs to be weighed. Because after mixing the clear varnish with the hardener, its viability is about 30 - 40 minutes. And so you need to have time to apply it evenly. 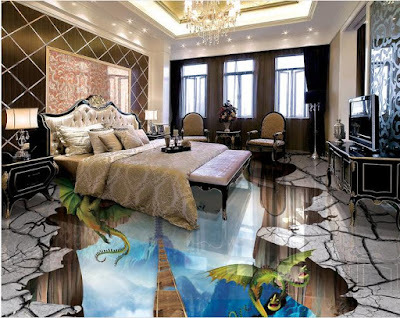 Do not interfere with too much clear varnish, because if you do not have time to evenly apply it on the 3D floor art, it will begin to polymerize or harden, and eventually you will throw it away. In order to properly mix the transparent varnish with the hardener, you need to know the mixing proportions of the main component A with component B Hardener. Each firm of the manufacturer of polymer materials has its own mixing proportions of component A with component B with a hardener. There are no overall mixing proportions. And another very important moment of mixing components A and B. When mixing components, be sure to use a scale. Mixing the ingredients is not by volume, but by weight. Because component A and component B have different density, volume and mass. Modern dressing room: How to design and Organize?